This chunky beanie looks like it’s knit, but it’s crocheted. It works up quick and is available in three sizes for baby, toddler, and adult small. 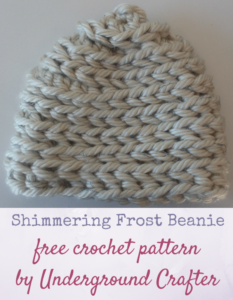 The pattern calls for a jumbo weight yarn and a 19mm crochet hook.